Which was your purpose by settling in Paris ? 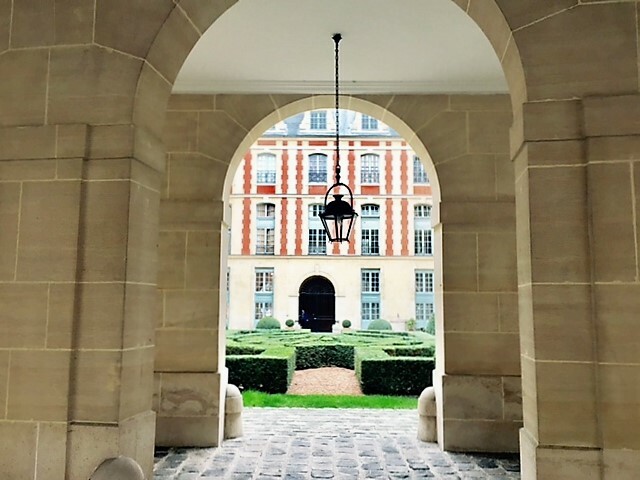 I really enjoyed this part of Paris and I decided to purchase an apartment here: it’s so central, so easy to live in : near museums, near Place des Vosges , near the Seine, and what I appreciate most is the village life , it’s like I always lived here ! How long did it take you to find your apartment? Did you buy with the help of an Agency? Was it complex to follow the renovation works as you were not resident in Paris ? I found the best team to help me in conception, renovation and follow up : the LO-ST agency *, with the design of Emmanuel Lassalle, fully involved and dedicated in my project ! Are the real estate law and specifications very different in France and in your country? Besides when you buy in Brazil, you do everything within one month only ! What do you like in Paris that you don’t have in your country? Everything! But what I appreciate most is to feel secure: here – as a woman- you can be out from morning to evening without any problem ! In Paris, I belong to the city ! In SAO PAULO I belong to my apartment ! What do you like the most in Paris LIFESTYLE? Here I can run I can bike, I feel the beauty of the city at the same time, distances are smaller, transports are easy and it helps to move from a district to another! What is the most different? What surprised you most? Is Paris transportation system an advantage for you to move from a quarter to another? Walking distance is universal in Paris, I can do whatever I want by foot, it’s the contrary in Sao Paulo ! Among this 5 interest fields which one was the most attractive and drove you to PARIS specifically :Culture/ Museum/ Monuments/ Gastronomy/ Shopping ? I could live here during 10 years and I feel I could discover each day something new in the street, in my neighborhood, in the air …. You appreciate french gastronomy as a hobby ? I am passionate about French know-how in haute cuisine which I like to twist with world flavors! You imagine you could create a bistrot ? What does le MARAIS represents for you ? I really had a « coup de cœur » for this part of Paris, where many people from BRASIL are living ! All my relatives want to come and visit me !!! Paris is not the most expensive city of the world but the fifth ! ( after: Singapore, London, Hong Kong, New York ) could you tell us compare to Sao Paulo ? The price in Sao Paulo compare to Paris is three times lower, but Paris is safe investment and a source of satisfactions ! It’s a kind of dream came true, and at the same time a permanent source of new horizons ! Tell us about the parisianers ? The Parisian are as sunflowers they like the sun and turn to him ! If you are smiling everything goes well ! * France is the first European destination for the Brazilians, and among all the tourists of Latin America, Brazil is by far the first emerging market for France. Only in 2014, more than 660 000 Brazilians came in France, among which 463 000 in Paris. WHAT LEAD YOU TO BUY IN PARIS , WHY DID YOU CHOSE PARIS ? I have been coming to Paris since I was a teen ager, since I grew up in Connecticut, I always heard about France and Paris, and I discovered Paris by reading classics like Hemingway, Gertrude Stein, James Joyce, F. Scott Fitzgerald, I used to retire in my bedroom and read all this literature where Paris was a stage for these heroes..
HOW DID YOU CHOSE THIS DISTRICT ? It’s truly the Quality of life : Parisians are much more polite and warm than New Yorkers, they are helpful in the Metro for instance, with my suitcase they offer to carry it on the stairs !!! they are much more welcoming ! Prices for restaurant are much better here, you can find many nice place for dinners ! Everything is work of art, and fills your soul with beauty ! WHAT IS IMPORTANT FOR YOU IN YOUR NEIGHBORHOOD ? WHICH ASPECT OF PARIS SEDUCED YOU MORE ? The physical beauty of the heritage: the historical heritage : Victor Hugo lived here ! DO YOU COMBINE THIS INVESTMENT WITH A SEASONAL RENTING SOLUTION WHEN YOUR ARE NOT IN PARIS ? Yes, but rarely : I offer my apartment to my network of friends, or friends of friends, only for the moment. WHICH WEB SITE DID YOU BROWSE IN ORDER TO FIND YOUR APARTMENT ? I used to go on all professional Web Sites ! I very much enjoyed doing the search myself and visiting apartments all over Paris. DID YOU FIND EASILY INFORMATIONS CONCERNING YOUR CONCERNS ? Yes it was not difficult, but you need a good realtor and a good notary ! Concerning the taxes and charges,( taxe d habitation and taxe fonciere ) they are lower and less complicated here in Paris ! DO YOU APPRECIATE TRANSPORT FACILITIES ? Paris has the best service for public transportation, Metro is everywhere and is so easy ! People are respectful and polite, and it adds about the secure feeling when you have to go out even during evening ! Paris is really my favorite city in the word, and I love the Marais especially because it’s the oldest part of Paris, and the best evocation of French history and heritage, combined with the easiest way of life ! Culture is everywhere, beauty is present at every season : the beauty of the sky, the different lights on the river Seine are amazing images of a city which will never be old but rich of past centuries !